When I got Jem & The Holograms Vol. 1: Showtime for Christmas it filled me with a combination of anxiety and awe. In my hot hands, a Jem & The Holograms comicbook! In my crusty old brain, the recent attempt to bring Jem to film. Gah! What if they fucked it up again? Would my nostalgia and outrage centers ever recover? No, they would not. I would be a fist-shaking old lady whenever someone mentioned Jem forever and ever and that would be the saddest of the sad. Or close to it. Nothing can top Sarah McLachlan singing and pictures of abused puppies. 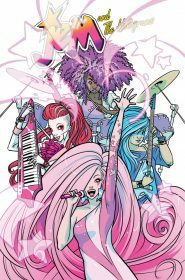 This comicbook reboot of the beloved 80s cartoon is not only the Jem & The Holograms we deserve, it’s better than the original. How could that be, you ask? First is always best? Ask any Star Wars nerd. Here’s how this reboot is better: representation, representation, representation. Sure the cartoon had a diverse cast for the 80s, but they were all incredibly thin beautiful stick figure characters. Not so in the comicbook. Instead we see a wide range of body types and the best part? It’s not even discussed. It’s just the bodies these women happen to incorporate. There is no side story about Stormer’s thick thighs. There’s no mention of how Aja wears crop tops that show her unperfect-by-magazine-standards belly. It is glorious. Also? Kimber is a lesbian and she has the hots for Stomer. So much delectable drama. And another thing I loved? Jerrica and Kimber refer to Aja and Shana as their sisters. Not adopted sisters, not foster sisters, just sisters. They never use a descriptor. As someone who is a half-sister but never called a half-sister it’s an issue I am sensitive about, and I hate when I read/watch anything where someone is referred to as an adopted or half sibling. People who have adopted or half siblings don’t refer to them that way. Those who are don’t refer to themselves that way. It’s a weird form of othering and it perplexes me why writers need to impart this information. Are they trying to make someone less than? I don’t get it. It’s one of my main complaints about the TV show “Supergirl.” Kara (Supergirl) refers to her family as foster mom, foster sister constantly and it drives me nuts. 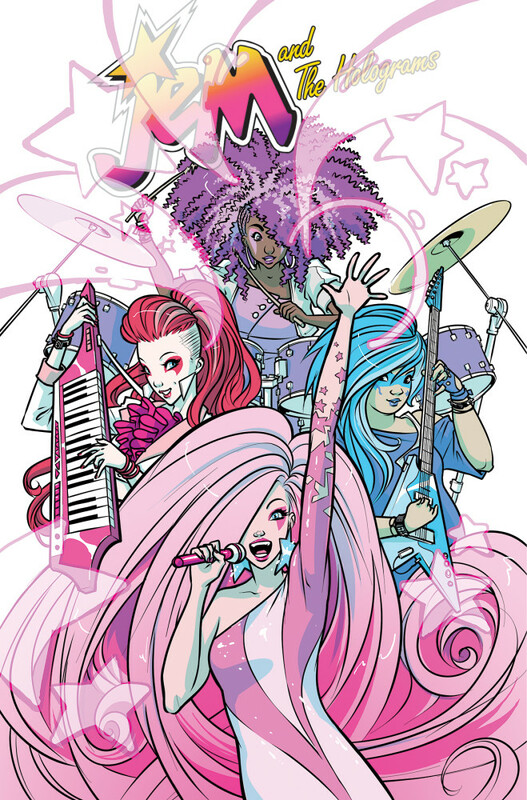 Back to Jem & The Holograms and this fun, fun, fun comicbook. This first volume, which collects the first six issues, is the origin story. We get to meet the women, see how they stumble onto Synergy and get the bitchen earrings. We start to learn their personalities. We also get to meet glorious, destructive Misfits and green-haired, stompy lead singer Pizazz. Oh, how much I loved reading this book. In this one The Misfits are one of the biggest bands on the planet and Jem & The Holograms are up and comers who capture a lot of attention by releasing a music video that goes super viral. This, of course, pisses of Pizazz because she cannot have anyone stealing her thunder. Also, she’s not so thrilled about Stormer’s affection for Kimber. Anyway, there is, of course, an upcoming battle of the bands thing where The Misfits will face-off against The Holograms. Mishaps ensue. What this book does so well is balance real, genuine emotion with the 80s-cartoon madcap cheesiness so that it’s satisfying and fun at the same time. Not only do we have the Kimber/Stormer stuff there’s also the Jem/Jerrica/Rio triangle from the 80s cartoon. Only this time Rio’s a music journalist and not some weird hanger-on. Also, he’s not a big fan of Jem. I’m sure much more will be made of skepticism toward the lead singer as the story goes on. I already cannot wait for Volume #2. 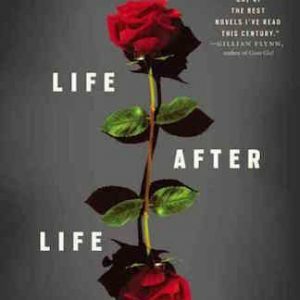 This one has skyrocketed up the ladder next to Saga as the book I most hotly anticipate.